I am a naturally gifted and practising clairvoyant and tarot card reader. I have had spiritual awareness from a very young age and have been developing my abilities as a psychic medium to help others for more than thirty years. Please read on and judge for yourself whether my psychic abilities and passion could help you. Do you feel lost, disconnected from those around you or unable to make sense of a situation? Do you want to reconnect with a loved one? Do you need help understanding and dealing with inner pain? Do you have vivid dreams or feelings, senses that you want to understand? If any of these affect you I may be able to help. 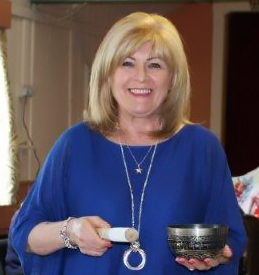 I practise as a clairvoyant in Farnham, Surrey and Highgate, London. My main client base covers Surrey, London & Hampshire but I have clients visiting from all over the UK.